This is the full and detailed views of the dust cover for the large print hardback edition of Coyote Waits. This edition was published in 1990 by Harper & Row in New York, New York. Design and Photography Credits: The cover design is by Peter Thorpe. 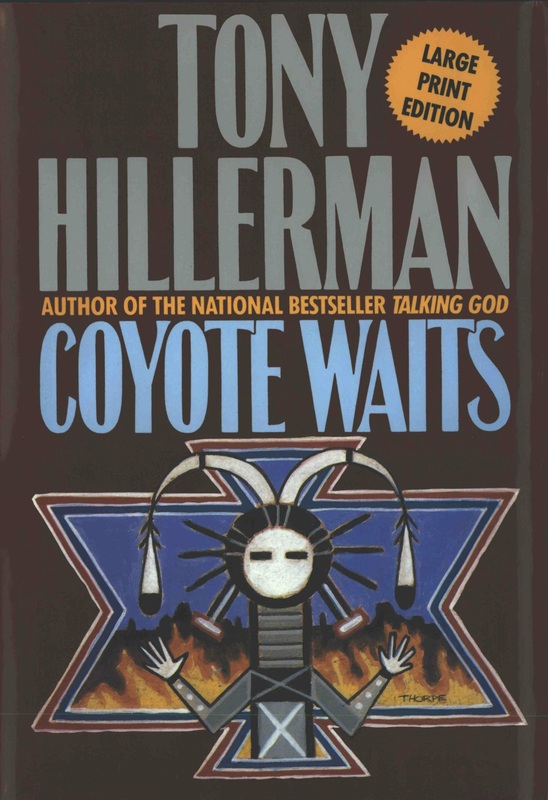 This edition has the same cover as the first edition of Coyote Waits with the addition of "LARGE PRINT EDITION" in the upper right-hand corner. The front fold out contains half of the synopsis of the novel and the back fold out contains the remaining half of the novel synopsis and a brief author's biography.